As boaters look forward to summer, they will sometimes hear public service announcements about the risks of operating a vessel under the influence of alcohol. Most would rather think about plans for a weekend cruise than about the statutory blood alcohol levels that could lead to criminal prosecution. But when it comes to drinking alcohol on the water, current laws can carry felony charges, prison sentences and stiff fines. A conviction can also mean higher insurance premiums, mandatory boating safety classes and damage to one’s driving record. Nowadays, most boaters will wait until they’ve securely fastened the mooring pennant on the foredeck before having anything stronger than a soft drink. They understand the importance of not touching a drop while operating a 20-ton vessel with 600 horsepower at their fingertips. In 2013, alcohol was a contributing factor in 305 boating accidents in the United States. Blood alcohol level is the basis by which boating laws draw the line on criminal prosecution. These laws may use different terms to denote blood alcohol level, such as blood alcohol concentration or BAC, but the bottom line is that if someone’s blood alcohol level exceeds these statutory limits, the door is open to arrest. Alcohol-related violations on the water are governed by both state and federal law, which means U.S. Coast Guard personnel as well as local police marine units can stop and board vessels. Under federal law, someone who operates a vessel while under the influence of alcohol or a dangerous drug is liable for a civil penalty of not more than $5,000. Boating while under the influence of alcohol or a dangerous drug is a class A misdemeanor under federal law.2 Different states have their own laws, each with their own definitions, provisions and sentencing guidelines. Under federal law, someone who operates a vessel while under the influence of alcohol or a dangerous drug is liable for a civil penalty of not more than $5,000. Perhaps one of the fundamental reasons for today’s strict BWI laws is the role alcohol plays in boating accidents involving fatalities and injuries. 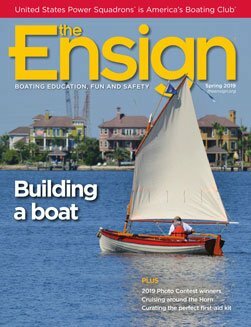 In 2013, alcohol was a contributing factor in 305 boating accidents in the United States.6 Drinking alcoholic beverages at the helm is seen as ­something people can choose not to do, and the U.S. Coast Guard has compiled exhaustive statistics about the correlation of alcohol and boating accidents. The meticulous detail of this data aside, one thing remains strikingly simple: Today’s BWI laws can carry serious consequences in the form of felony charges, prison sentences and fines. Tim Akpinar, mycounsel.us, is a maritime attorney who represents recreational and commercial mariners throughout the U.S. in collision, salvage, injury, and property loss cases. A former merchant marine officer, Tim has taught law at SUNY Maritime College. You can contact him at timakpinarlawoffice@verizon.net or 718-224-9824.